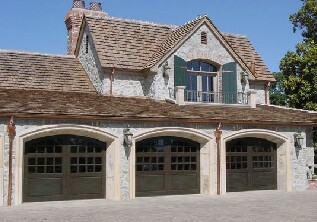 We have been installing, repairing and maintaining residential garage doors and openers since 1945. During the past 72 years Radford Doors has worked for many of San Diego’s homeowners, HOA’s, property management companies, developers and contractors. Radford Doors offers a vast range of styles and custom design garage doors in wood, steel, copper, fiberglass, aluminum and glass. As a locally owned San Diego company we take pride in our reputation for quality workmanship, timely delivery and excellent customer service. All of our installers are company employees and not subcontracted labor. We are proud to say that over the years we have accumulated a substantial list of satisfied clients. We hope that you find the information provided helpful and we are looking forward to assisting you with choosing the garage door or gate that is unique to your home's style. Please feel free to stop by our nice showroom or contact us via e-mail or phone with any questions or concerns you may have. Our office hours are Monday through Friday 8:00am to 5:00pm.